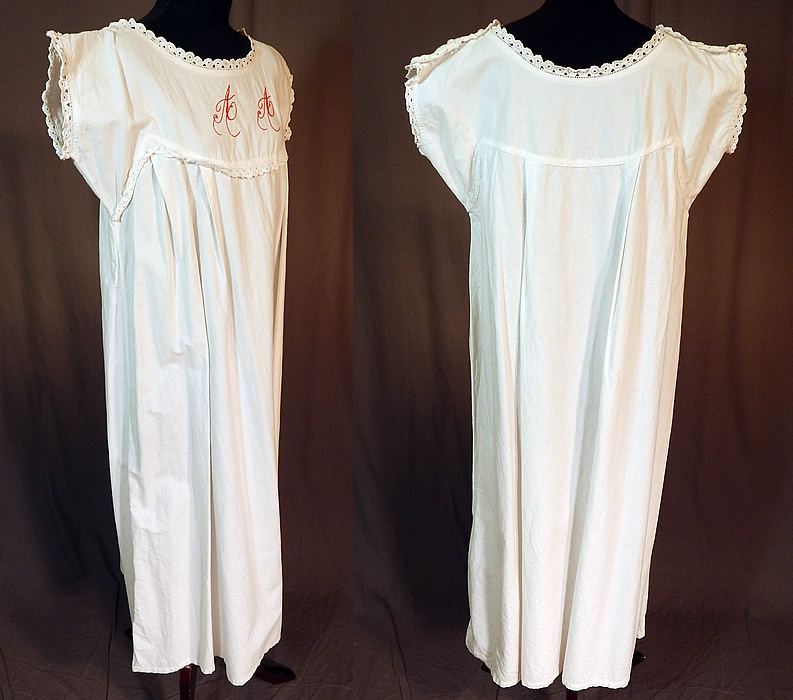 This antique Victorian era white cotton turkey red work embroidered AA chemise nightgown smock shift dress dates from the 1890. 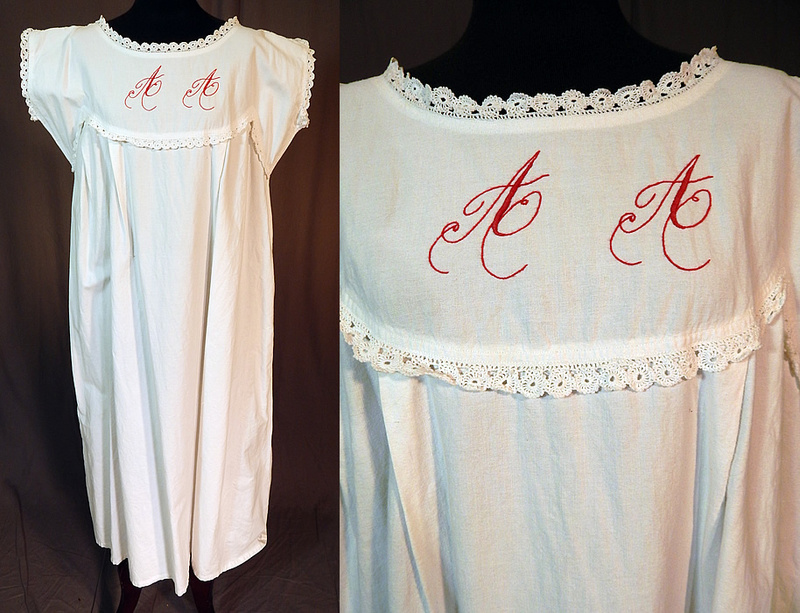 It is made of a heavy quality white cotton fabric, with turkey red work hand embroidered stitched monogrammed initials "AA" and crochet lace trim edging the yoke, neckline collar and sleeve cuffs. This womens summer chemise nightgown smock shift t dress is a long tea length with a loose fitting style, cap sleeves and button closures along the shoulders. The nightgown measures 46 inches long, with a 44 inch bust, 60 inch waist, 60 inch hips and 12 inch circumference arm holes. It is in excellent condition. 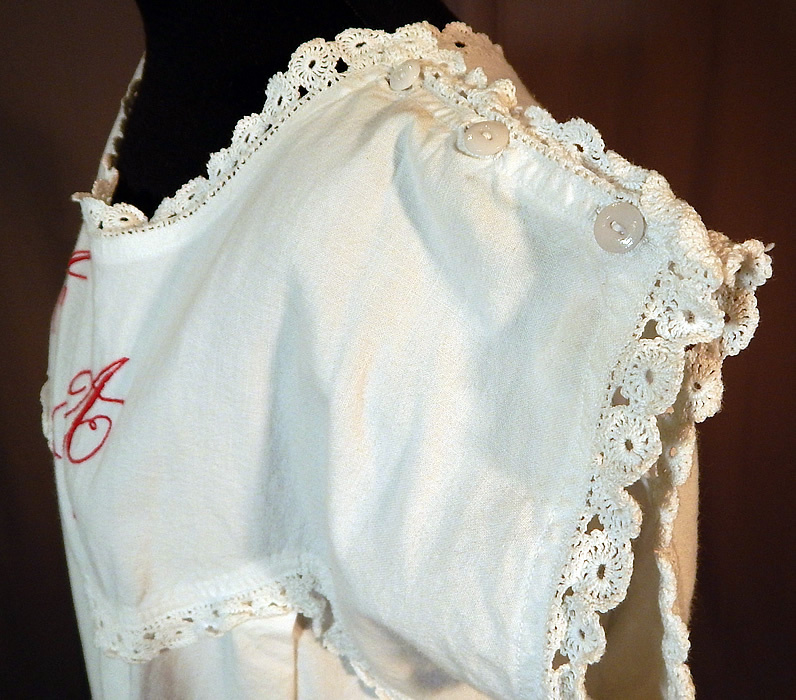 This is truly a wonderful piece of antique Victoriana underpinnings wearable art!